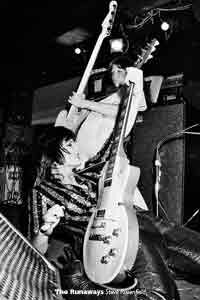 Joan Jett and Jackie लोमड़ी, फॉक्स. . Wallpaper and background images in the द रनअवेस club tagged: the runaways joan jett jackie fox image guitar bass photo tumblr.